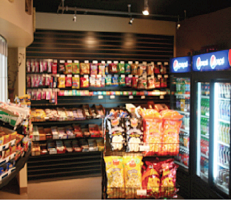 City Wide Vending is your one stop shop for full line vending services in the workplace. We have a support staff that keeps the machines stocked full, maintained and working 100% of the time. Taking care of you, the customer, is priority #1. We want to put a vending program together that works for you and is custom tailored and designed to accommodate all of your staffs needs and wants day-in and day-out. Call us today for a free onsite evaluation and let one of our professionals lend a hand on upgrading your break room vending service by switching your vending services to City Wide Vending. Let City Wide Vending bring your company a self-checkout market insead of Vending Machines! No extra cost, just maintain a vending contract. 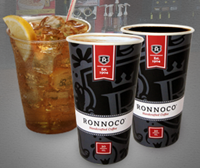 We have partnered with RONNOCO to provide office coffee service and water cooler programs. Flavia Single Cup machines are available.